Employment is the state of having work and getting paid for it, hence lack of employment means no work, no salary. Getting fired is bad but getting fired suddenly is tragic. Here are top Ten reasons on Why Employees Get Fired Suddenly. At the end of the day, it comes down to performance, right?. Boss calls and say 'You're Fired'. reason - 'Very low performance'. People get fired suddenly due to lack of expected performance and not just performance. Expectation is the key here. Boss and the company has a specific expectation about the performance. Maybe you are doing maximum work that you can. but, is it what is needed? I remember a joke on this. Q: Why an employee open his lunch box sitting in a pavement in the evening? A: To know whether he is going to office or coming back. People work hard at their job but its always about matching the expectation. Be it of the boss or the company. I knew one HR person who do hard work. She was asked to submit a presentation on a product which the HR head will present later in a seminar. She worked more than 12 hours and made 62 slides power point presentation. Instead of being appreciated the boss said- " they have allotted only 5 minute for me in the seminar and how can i present this 62 slide ppt. Go and make a 2 page statement". This what happens most of the time. Understand the expectation of boss and company and work to keep that up. Do some extra work to satisfy them and make sure to let them know that you are working hard and you know your stuff. Employee may be working hard and have the expected performance. 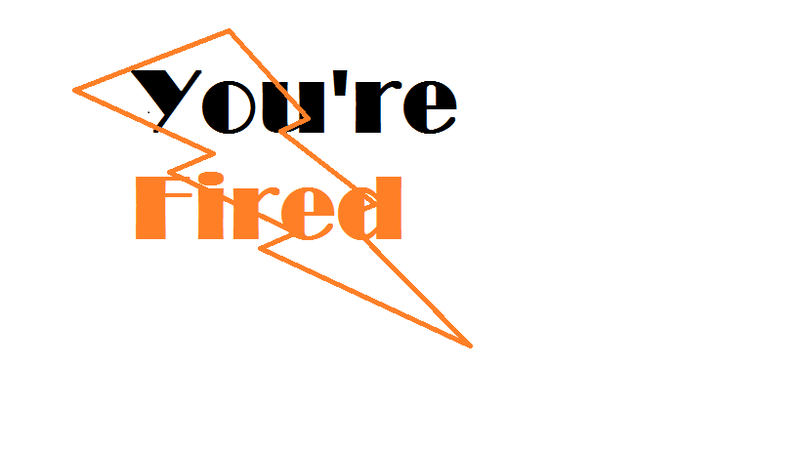 But company wants to fire someone and just because the person is on an expendable role, he/she will get fired. So what are expendable roles? Generally expendable roles are employees in Administration department such as canteen operations, transportation, Courier and postal department, Safety and Security, corporate social responsibility department, pollution control department, ethical committee members, lower level employees who can be replaced without much effort, trainees who are about to get placed etc. Employees in expendable roles should always expect termination from the company and try to move from that role some other role that are not expendable. If not possible, try to change the organisation and to get a valued role. Nothing to much to say. This usually happens in many organisations. Employee gets fired in order to cover someone's position. Imagine a situation where two people are aged and A is going to retire in 4 years and B is going to retire in 2 years. Both are in almost in the same position and one has to be fired. Incidentally A got fired. Boss has taken the call to fire A to save B's position. Maybe an employee is been working for 4 years and a new HR manager has joined in the organisation. He is from a different religion than you. It is possible that you may get fired suddenly if he has religious or community hatred against your religion. This can fought against the court if find out but usually the justification will be something else. Every organisation has a sacred code of conduct includes ethics, harassment in workplace, damaging property of the company, possession and use of Drug or Alcohol at Work, manipulating company records, stealing items or products, violating policies, threatening others etc. If any of this are broken, then the employee will be fired instantly. There are organisations where all the workers are from one specific religion and one is not. Or all others are doing the same crap everyday but one cannot. Or one is doing excellent job and no one else. Such situations can lead to ego clashes and result is the same. Usually management will terminate that employee on the basis of insubordination. I know one guy who worked in an organisation for 40 years [believe it or not] and going to get retired next year. He was given compulsory retirement. Companies do this to avoid giving large chunk of money as benefits to older people. So better start your company at least no one will terminate you from that. Marketing works everywhere. Maybe the employee is working so had everyday more than 12 hours without taking a single leave. But if you do not market yourself to the management, you are prone to fired. Maybe an employee is selected to be fired. But some top level official recommended that person and he escaped from firing. So having relations with top level senior official who can recommend will always help.